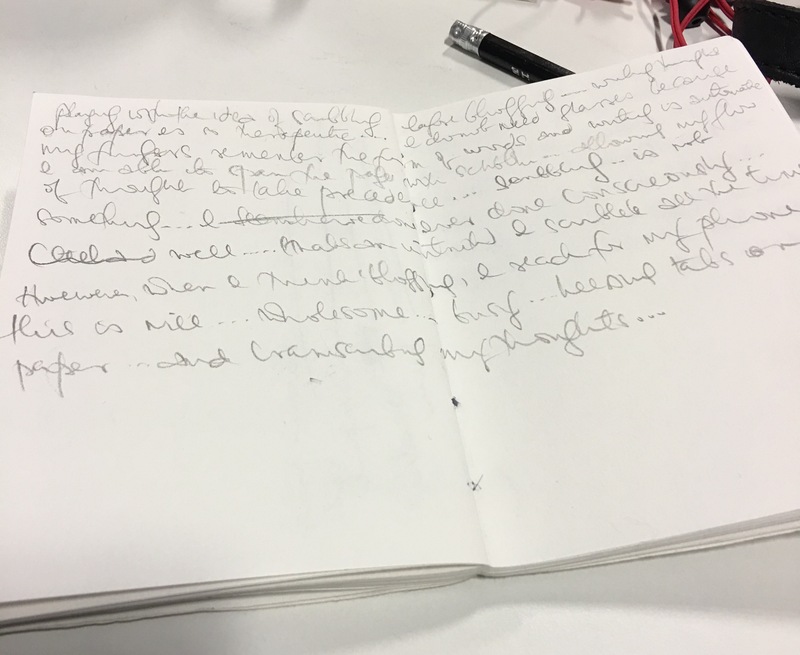 Playing with the idea of scribbling before blogging…writing thoughts on paper is so therapeutic…I don’t need glasses because my fingers remember the form of words and writing is automatic. I am able to span the page with scribble…allowing my flow of thought to take precedence. Scribbling is not something I have ever done consciously…well, that is an untruth…I scribble all the time. However when I think ‘blogging’ I reach for my phone…this is nice…wholesome…busy…(yet not)…keeping tabs on paper…and transcribing my thoughts…reminiscent of ‘the morning pages’ which I never did cos I couldn’t see the relevance but I can now. Scribbling definitely lets it all out!